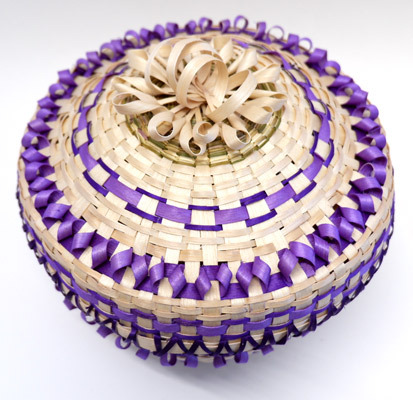 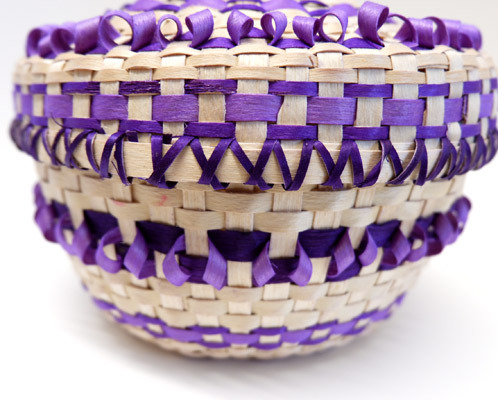 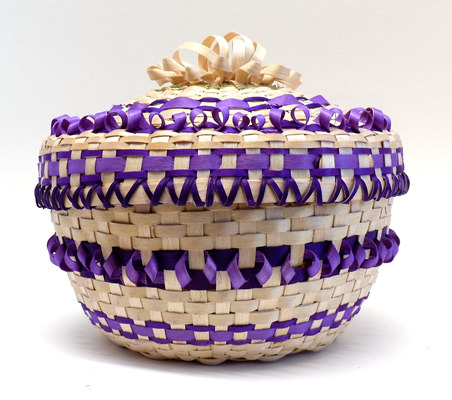 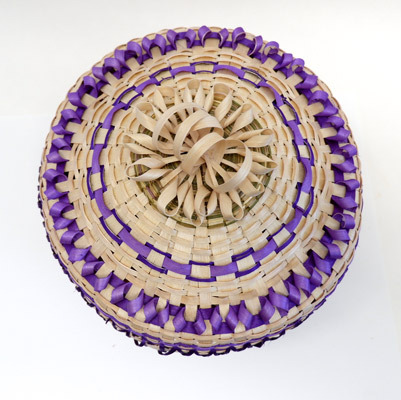 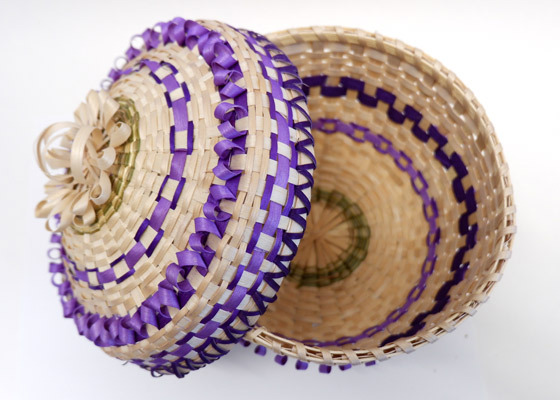 This beautiful "Unity" basket with double band purple and natural fancy twist and unity designs was made by Mohawk basketweaver Robin Lazore. 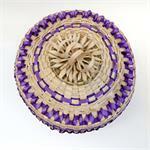 Robin hopes that the message of coming together in unity is spread within the design of this basket. 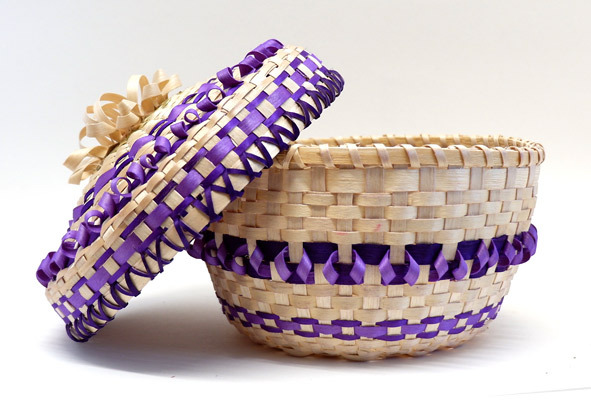 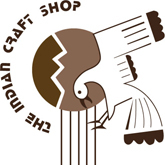 With help from her husband, she gathers and processes all of the materials used for making her baskets, from cutting, soaking and splitting ash logs to gathering the fragrant sweetgrass.